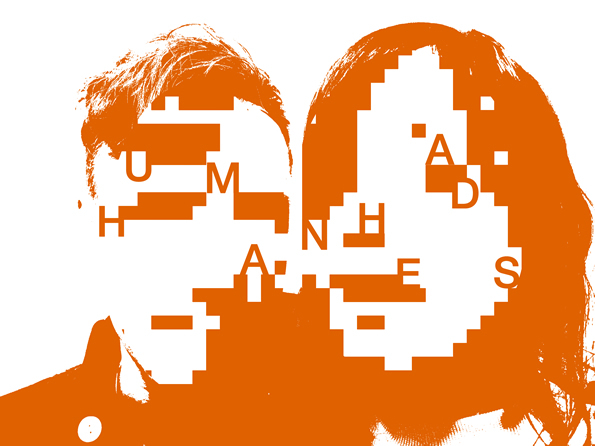 The debut album by Human Heads, called The Beauticinist, was released by Singing Knives in June 2013 on cassette. This recording was produced in the time and space between the Lido Cliff Bar, Margate, in 2005 and Portland Works, Sheffield in 2013. It is hard not to notice the photo of her on the advertisement. I took the picture myself with my phone. The nails you can’t see in the photo. You’ll pass under the portrait on the way to the station. It was a quick turnaround. So take the photograph and create a sign. Put my name in the top right hand corner and my number in the bottom left please. Send it off without a second look. I know, I know. I know the hair looked good from every angle. A television would fill the room in the slow hours. After lunch she arrives. Picking at her nails. She did it to herself she did it because she hates coming to the beautician. Pulling at her hair. I straighten it and say it’s wonky. I cut it. Her hair is so long because she never wants to have it cut. To come here and see me or anyone like me to say some things without even thinking. She makes a sucking sound when my scissors get too close to her ear. When I speak I am only trying to get her to carry on speaking. Then she asked about the light in the shop. It is painted white and the bulbs are unforgiving. I look in the mirror. I can see the bags underneath my eyes and I can see the light bouncing off my forehead. It was like this when I took the photo the one that you pass under on the way to the station.